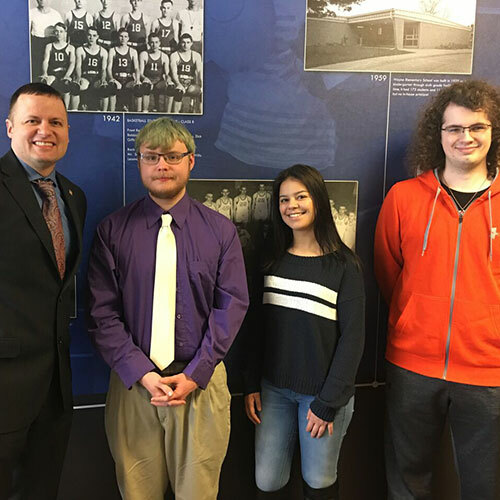 May 7, 2018 – State Nebraska Bank & Trust is pleased to announce this year’s recipients of the SNB Community Scholarship: Adam Ryden, Berenice Casillas, and Isaiah Longe. All three are outstanding seniors at Wayne High School who will graduate in May, then attend Wayne State College this fall. SNB pays for the first year’s tuition for each of the scholarship recipients. For more than 50 years, SNB has been providing scholarship to students at Wayne State College. Pictured with the scholarship recipients is Matt Ley, CEO of State Nebraska Bank & Trust.